Facebook CEO Mark Zuckerberg will testify before Congress this week to explain how his company collects and handles users' personal information. The past few weeks have been difficult for Facebook over concerns that the data of millions of users has been breached. 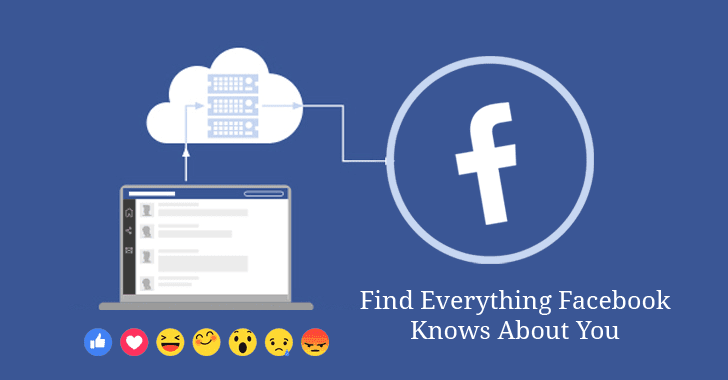 Here's how to find out what data Facebook has collected over time, including all your past posts, messages, photos, videos and more. First, sign into Facebook (on a desktop browser, not your mobile). Then, click the drop-down arrow on the top right, and click on "Settings." This will take you to facebook.com/settings, where you will find your "General Account Settings." 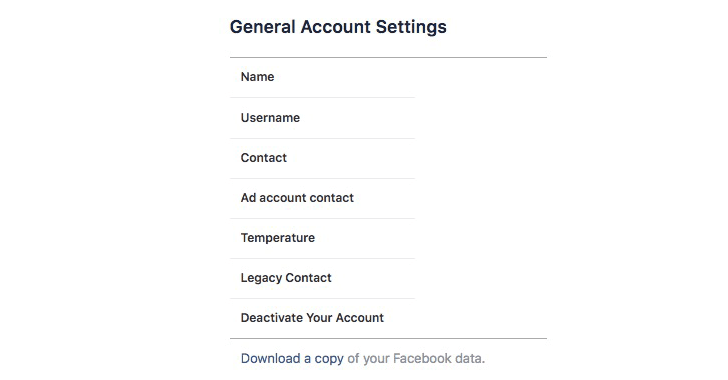 At the very bottom of the list of General Account Settings, you will find a "Download a copy of your Facebook data" option. Click on that link. This will take you to a page titled "Download My Information." Now click on the green button, "Start My Archive." For security reasons, Facebook will prompt you to enter your password and send you two email alerts—first, "Facebook download requested" and another one when "Your Facebook download is ready." Facebook will then let you download a zipped folder titled "facebook-yourusername." Once you unzip it, you will find that it contains a few different folders—for photos, videos, messages, an 'html' folder of other data, and a .htm Index file to help you navigate through different sections or categories of data. The Contact Info section contains all the contacts on your mobile phone. You may also find additional info if you used an Android phone—it was recently revealed that Facebook scraped Android users' call and text message data through a default opt-in feature many users weren't explicitly aware of. The Friends section contains a list of all your Facebook friends along with the date you become friends. It also contains a list of friends you unfriended and when, friend requests you declined, a list of friend requests you sent that are pending being accepted, a list of people who "Follow" you by clicking the follow button on your profile, and anyone you are following. It also has a section called "Friend Peer Group"—what Facebook determines your life to be. For instance, if you are in your twenties, you may be identified as "Starting Adult Life." The index also contains information about every Event invite you got, every Poke and Message you've sent or received (even if you are not Facebook friends with the person, or if they are no longer on Facebook), any Facebook applications you installed (even if you don't use them anymore), and any Facebook "Places" (locations) you may have created. There's also a Security section tracking IP addresses, devices and browsers you logged in from with dates and timestamps. There’s also a list of the recent ads you clicked on and any advertisers that have your contact information. 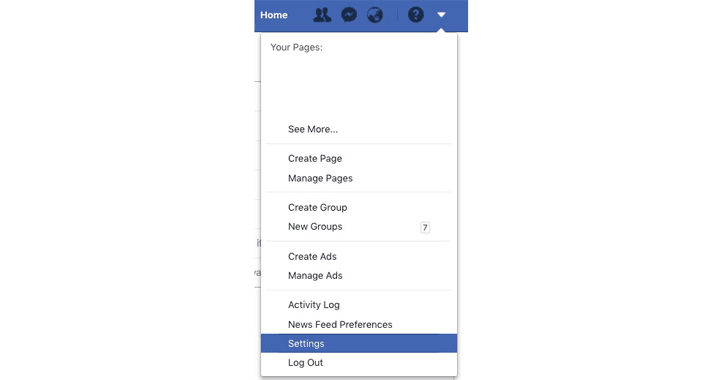 You can find (and remove) additional ads and ad topics you are being targeted for by visiting: https://www.facebook.com/ads/preferences/. The amount of data Facebook can collect is admittedly staggering. For regular Facebook users, who've been on the platform for some time, downloading and going through one’s digital footprint can definitely make one a little squeamish (and not just because of your status messages from 2008 that seemed so witty back in the day! ).